You’re going to see Resonate’s first mockup of its overhead projection support. Yes, a Twitter client that natively supports the iPad’s VGA (and HDMI) output, and its not just simple display mirroring but geared for on-line real-time presentation of tweets. Probably going to be a first among Twitter clients. The inspiration comes from Monica Rankin’s Twitter experiment at UT Dallas. She used Twitter to facilitate class discussion in a large class if about 90 students. During the discussion, she put up a hashtag search result on the class’ overhead projection and let her students tweet the hashtag to get their search result on-screen. The search result was auto-refreshed every 12 seconds and thus it shows the class backchannel real-time on the center stage. Without further adue, here is a mockup that shows how Resonate would look like when connected to an overhead projection. Search Results – A reverse-chronological (latest on top) result of a Twitter search. Search Term – Indicates what is the keyword (or hashtag) use to drive the search results. 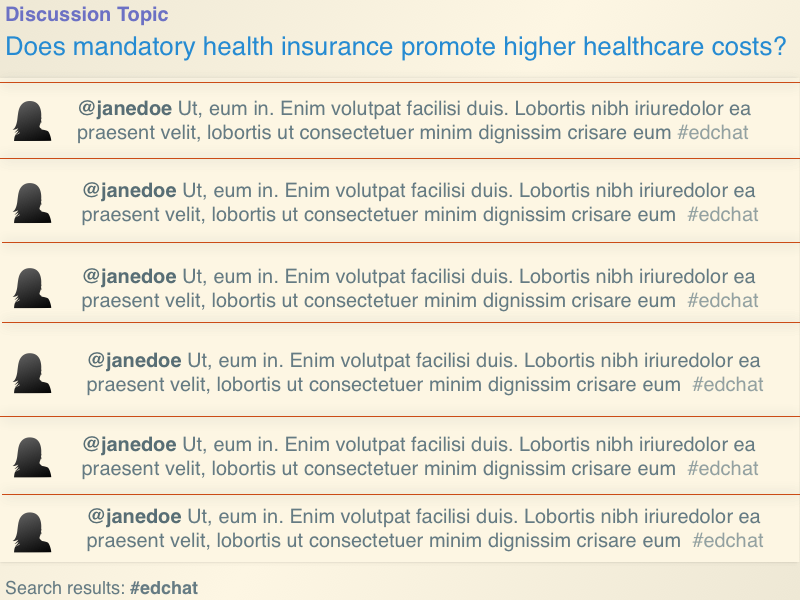 In addition, the search results that make up the discussion session can be saved. The instructor can export the session and publish it so that the class for use by the class as a reference material. We’re building a Twitter client for teachers, professors, and other educators. Type in your e-mail address in the box below to get notified when we launch.